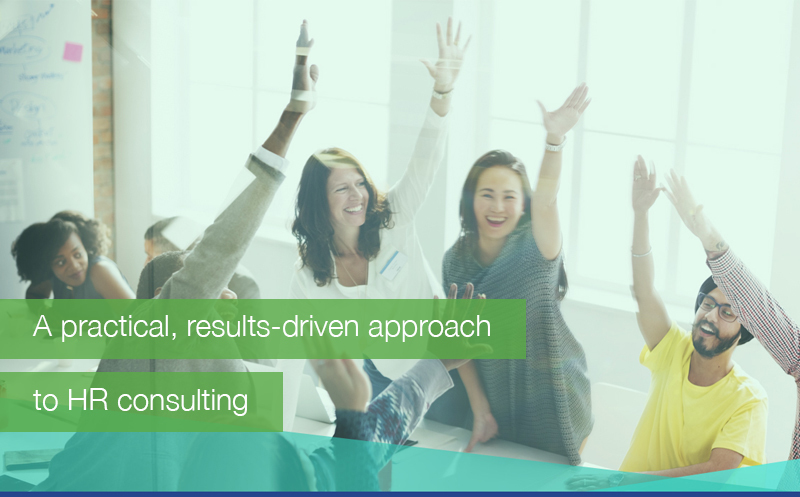 Our proactive approach incorporates four key considerations designed to do more than meet your HR consulting expectations. We deliver transformative results that optimize your people-management strategies, ensuring they’re business-focused and innovative. In fact, we’ll help you focus all aspects of the employee life cycle on two main goals: boosting your organization’s bottom-line and fostering a healthy, productive workplace culture. We work to understand your people-management challenges by conducting a thorough needs assessment that identifies policy best practice and compliance gaps, as well as missed opportunities. We then recommend changes based on your organization’s business objectives. From legislative compliance and HR policy design, to organizational development and leadership coaching, our team will help yours develop and build a comprehensive and effective HR infrastructure that addresses your current needs and sets the stage for future growth. The effort of building solid HR policies and practices is wasted if your organizational culture is floundering. Our HR best practice and compliance, disability management, diversity awareness, change management, labour/employee relations and outsourced HR support programs are designed to keep your people engaged and your employee culture strong. Productivity, creativity and innovation are more than people-management buzzwords. They’re critical to your organization’s success—and you likely need help maximizing each one. Our culture and employee engagement programs, along with our emphasis on continuous HR reassessment and support, will help fill any gaps that arise in your HR infrastructure and employee culture. Most importantly, our programs are sustainable. That means you can expect long-term returns from your people-management investment.